CAPE CANAVERAL, FL – NASA’s car sized Curiosity Mars rover has resumed full science operations and driving following a six day long halt to research activities due to concerns about an electrical power system glitch, which have now been resolved. On Nov. 17, engineers noticed a fluctuation in voltage on Curiosity that caused the robots handlers to stop science activities and driving towards mysterious Mount Sharp while they searched for the root cause of the electrical issue. NASA says that the voltage change did not impact the rovers safety or health and the team was acting out of an abundance of caution while investigating the situation from millions of miles away back on Earth. “The vehicle’s electrical system has a “floating bus” design feature to tolerate a range of voltage differences between the vehicle’s chassis — its mechanical frame — and the 32-volt power lines that deliver electricity throughout the rover. This protects the rover from electrical shorts,” NASA said in a statement. Curiosity’s voltage level had been about 11 volts since landing day and had declined to about 4 volts on Nov. 17. The electrical issue did not trigger the rover to enter a safe-mode status. Engineers amassed a list of possible causes for the voltage change while suspending science operations and roving across the Martian crater floor where Curiosity landed nearly a year and a half ago in August 2012. “We made a list of potential causes, and then determined which we could cross off the list, one by one,” said rover electrical engineer Rob Zimmerman of NASA’s Jet Propulsion Laboratory, Pasadena, Calif.
NASA says that the likely cause is an internal short stemming from the Radioisotope Thermoelectric Generator (RTG) – the rovers nuclear power source. RTG’s have been commonly used on many NASA missions that also experienced occasional shorts and that had no long term impact or loss of capability on their flights. “This type of intermittent short has been seen in similar RTGs, including the one on the Cassini spacecraft, which has been orbiting Saturn for years. 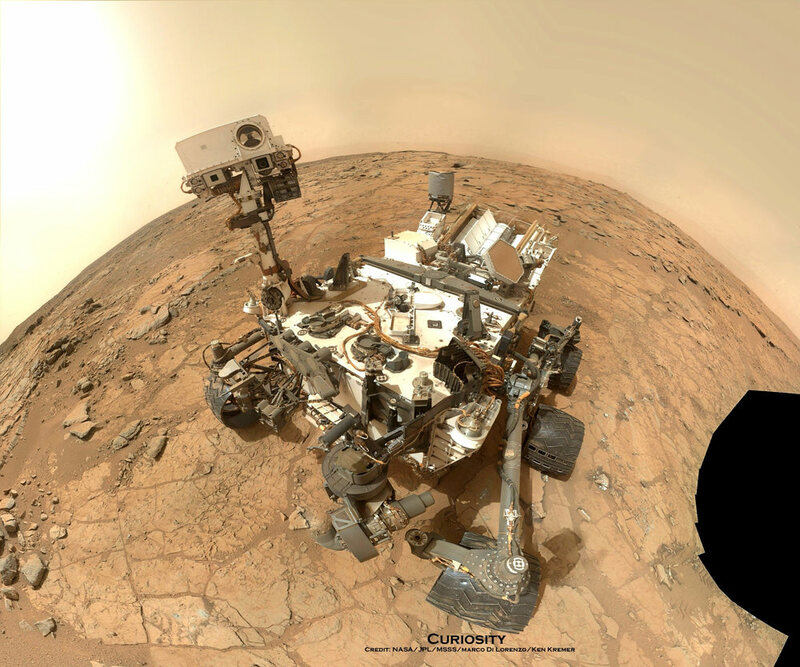 The rover electronics are designed to operate at variable power supply voltages, so this is not a major problem,” says Curiosity team member Ken Herkenhoff of the USGS in a mission update. The voltage level had returned its normal level of 11 volts on its own by Nov. 23, when the team had decided to resume science operations. So it is possible that the same type of intermittent voltage change could recur in the future. Meanwhile the rover has resumed her epic trek to Mount Sharp and is expected to arrive at the base of the mountain sometime in mid-2014. This past weekend, the robot delivered additional portions of powdered rock to the CheMin and SAM labs inside the rover. The sample was collected 6 months ago after drilling into a rock nicknamed “Cumberland” and will supplement prior measurements. Curiosity has already accomplished her primary science goal of discovering a habitable zone at her landing site. Scientists expect to broaden the region of Martian habitability once the 1 ton robot begins the ascent of Mount Sharp to investigate the sedimentary layers in the lower reaches of the towering 3 mile (5 km) high mountain, that record Mars geologic and climatic history over a time span of billions of years. And as both of NASA’s rovers Curiosity and Opportunity ascend Martian mountains, they’ll be joined next September 2014 by a pair of new Martian orbiters from the US and India – MAVEN and MOM – that will significantly expand Earth’s invasion force at the Red Planet. Stay tuned here for continuing Mars rover, MOM and MAVEN news and Ken’s MAVEN and SpaceX Falcon 9 launch reports from on site at the Kennedy Space Center press center and Cape Canaveral Air Force Station, Florida. Could a large enough tribo electric field or Alfven wave passage shunt electrical power generated by the RTG’s to local ground thru magnetic resonances with the metallic frame acting as an antenna? Perhaps the mast is more conductive than imagined when coated with a fine layer of dust? Do you think the power glitch could be induced by space radiations ? 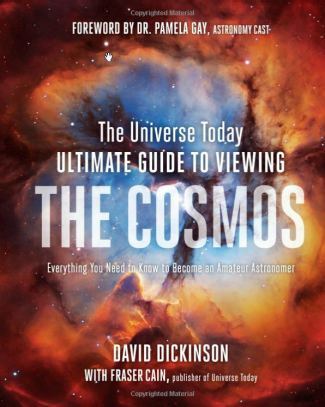 Next PostNext What is the Universe Expanding Into?